Milan "MiLAN" Kozomara sat down with Esports Heaven for a casual chat regarding his time at J.Storm, his sudden departure from the team as well as his future plans. Hi Milan. Kindly introduce yourself. Hey my name is Milan and I come from Bosnia and Herzegovina. I'm 23 years old and I play position four. Tell us when you decided to get into gaming especially Dota 2? What attracted you towards this game? I started playing Dota back in 2006 or 2007 at a local LAN center. Everyone was playing it, so I decided to give it a try and I've never really stopped since. 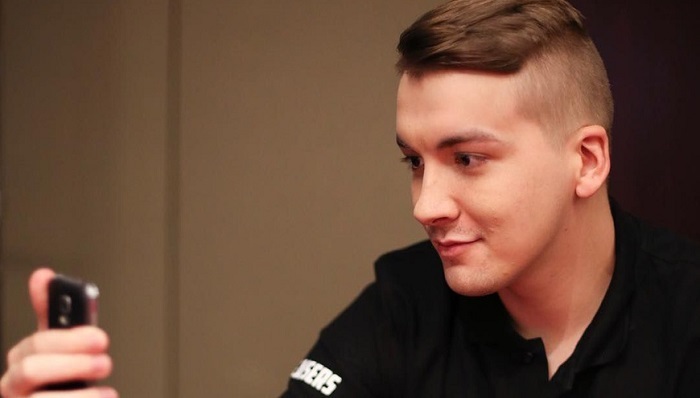 You've been playing competitively since 2014 in different number of teams such as Kaipi, Planet Dog, Hellraisers, Wind and Rain -- to name a few, although you really stood out with MarchoutofArmy (now J.Storm). How did the team come together in the initial stage? After Wind and Rain (TI8 qualifiers) March, Forev and myself decided to build roster together and we went looking for the remaining players and that's how we ended up creating MarchOutOfArmy. Nonetheless, you qualified for The Kuala Lumpur Major held in November. How was it getting back in the saddle after quite a long gap that too in the first Major of the new DPC season? Yeah, I was very excited to compete at a premium LAN event again especially the first Major of the season. Unfortunately, J.Storm placed 9-12th at KL Major. To what do you attribute such a lackluster performance? I think the lack of experience and under performing in critical moments during games as a team led to the lackluster performance. What did you learn from KL Major after your performance? One of the important things I've learned is how to prepare better for games and the overall experience. Everything seemed to be going fine and you even qualified for Chongqing Major with J.Storm on the back of a powerful performance. However, Fear replaced you on the team. Were you informed beforehand on this situation? I was informed shortly after I left the J.Storm bootcamp in NA, less than a day before it was announced. What was your reaction to being replaced on a team you just helped qualify for a Major? I was disappointed at first, then angry, and now I'm just eager to prove myself again. Any reason as to why you were being replaced with Fear? I was told that its due to the lack of leadership in the team and someone taking full control in critical moments that I was being replaced. By lack of leadership do you mean an authority figure that called the shots? Were you the one calling the shots in the team? I did shot calling when I was playing a hero with initiation. You're without a team as of now. What do you plan on doing in the immediate future? Getting on a team that believes in me and winning! Moving on, let's talk about the new patch. Tell us the pros and cons in this patch from your perspective. Any changes, buffs, nerfs, etc you'd like to see? One thing I really don't like is the same 3-5 heroes in every single ranked game, it really becomes annoying super fast. Overall I think its still pretty early in the patch and people are yet to figure out many things. Let's talk about the DPC season. How do you rate the new season as compared to the old one? Tell us what you like and dislike in the new season and compare it to the old one Much better I would say, they improved on mistakes made last year. There is still space for improvement, but it is going in the right direction I believe. That's a wrap. Thanks Milan for the interview. Anything you'd like to say to your fans? I'm grateful for all the support that I'm getting. Thank you.